Some men don’t like to store two different grooming appliances, so the Wahl Lithium Ion All In One Grooming Kit will be everything the well-groomed man needs to stay looking good. 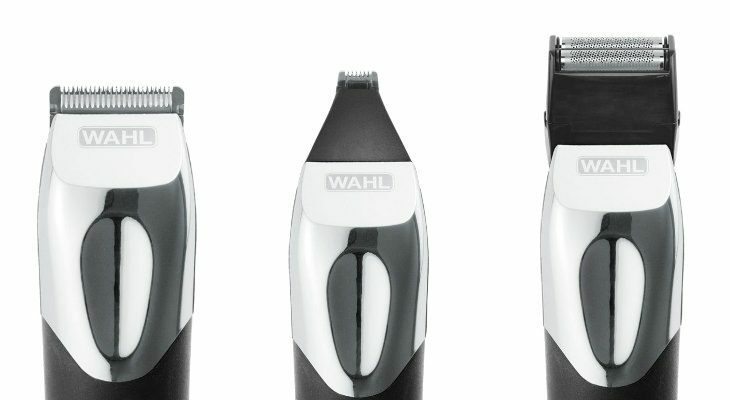 The Wahl trimmer is a shaver and a facial hair/body hair/scalp hair trimmer all in one. It’s designed with a long elongated black and white body casing. It has a power on/off switch around the middle of the device, and there are many different attachments that come with the kit. The price is under $35, making it a great purchase for men who shave on a budget, but who don’t want to settle for a cheaper trimmer. 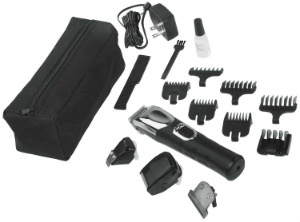 The Wahl Lithium Ion has all the accessories you need to look great every day of the week. 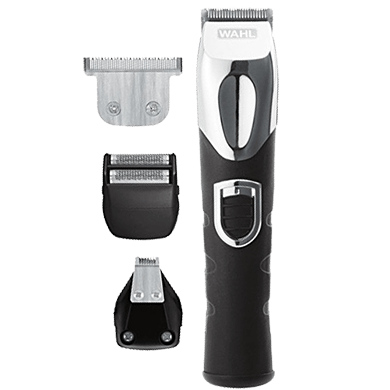 This Wahl Lithium Ion Grooming Kit is dual foil style, not rotary. It has a lithium ion battery, meaning that it can be used cordless and is rechargeable. This is a powerful battery that promises to hold a charge for ten times longer than other similar shavers, and it will have three times the run time, and double the torque power. 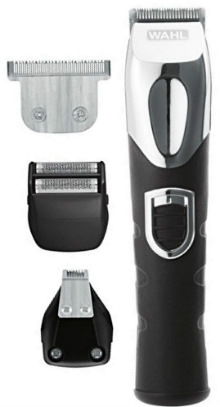 The built in blades have a T-blade trimmer shape. There are four notable attachments that come in the box, so you can choose the one most suitable for your trimming needs. 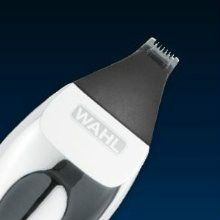 The clipper blade has a longer shaver surface and is suitable for hair cuts, outlines, and creating shorter hairstyles. The dual shaver has a wider shaving surface and sits up higher from the shaver itself. It will provide an ultra-close and irritation-free shave for your head, face, or body.The precision trimmer has much narrower and thinner trimming blades. This is meant to do intricate styling, or to trim hairs from nose, brow, or the ear. The trimmer blade is the same width as the shaver and it contains pro-grade blades that will allow you to define your facial style. The lithium ion battery also makes it lighter weight, so it’s more comfortable to hold in the hand, even when shaving for several minutes. The lithium ion battery also means that there will be minimal charge loss while it’s being stored. This is the perfect shaver to keep tucked into your desk at work, or in the glovebox of a car in case you need to have a quick shave for a special meeting or date. The lithium ion battery is also environmentally smart so it will take less power to charge up, and it will retain its charge over the weeks, even when not in use. 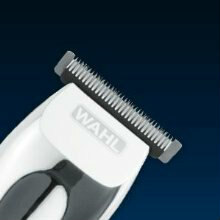 The Wahl Lithium Ion takes only one hour to charge it up fully. 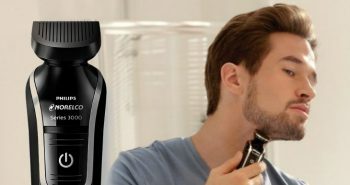 This will give you up to four hours of shaving or trimming time, which is quite impressive, as many of the other popular brands of men’s personal grooming products don’t even shave for that long. For men who forget to charge it up the day before, it takes only a quick five minute charge to provide enough power for one morning shave. 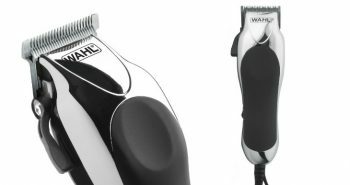 The Wahl brand is noted for providing a complete kit for men, so they don’t have to purchase additional accessories separately. In the package you’ll get one Wahl shaver, a trimmer head, dual shaver head, three different shaving attachments—one being an ear, nose, and brow detailer, six different trimming combs—one six-position guide, three of them are 3 T-blade guides and three of them are trimmer guide combs, two cleaning brushes, shaver oil, a charger cord, and one black zippered carrying case. The front of the shaver features a smart LED indicator which will tell you when the shaver is charging up, and how much power it has left. There is an auto charge shut off for when the shaver has fully charged up, so you can save money on energy, and prevent damaging your shaver. The Wahl Lithium Ion All In One Shaver 9854-600 has actually been made in the USA, making it one of the few men’s shaver lines to still do so. The entire package measures 3.1” x 5.5” x 10.5 inches, weighing 12.8 ounces, and the shaver itself weights about 0.2 ounces. 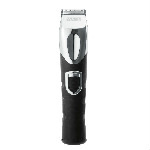 This shaver has been designed for use in USA or Canada, and does not offer any sort of dual voltage for travel. You can certainly charge it up in advance, which will give you enough shaving power for almost a month of shaves. This Wahl Lithium Ion All In One Grooming Kit is also backed up by a five year warranty. 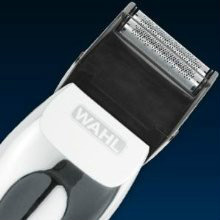 The Wahl manufacturer is so confident about how well-built their shavers are that they’re willing to provide a long-term warranty on the Wahl Lithium Ion All In One Shaver 9854-600. The Wahl 9854-600 is worth taking a closer look at if you’re on a budget, and particularly if you want to support American companies.